A hard drive is the storehouse of all the data that we have on our PC. It is like a boon that allows us to store such a significant amount of our valuable data. But, the hard drive can also have a life and it does demand maintenance and repair after a certain amount of time and it is mandatory to provide it. How can you come to know that it is the time to do so? Well, the computer helps you in this too. You might come across an error saying, “Windows detected a hard disk problem” which directly indicate the defect in your hard drive. The error keeps on popping up until you fix the problem that your hard drive has. The error pops up at a regular interval of 5 to 10 minutes. Of course, it might get annoying after a point. But should you really be annoyed by it? No, you should not. Instead, you should consider it helpful as it keeps on giving you an omen about your hard drive failing or your system getting crashed. If the problem is not fixed as early as possible, it might lead to a system crash, data loss, etc. This is the reason why this error has been attached a tag of being important. And so, it is necessary for you to know the reasons for its occurring and ways to solve it as soon as you can. Keep reading this article to find out. 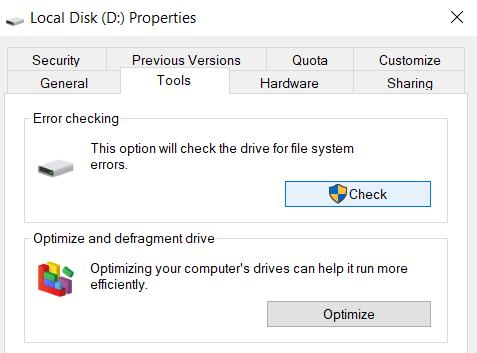 Why does Windows Detected a Hard Disk Problem Error Occur? There are many reasons to cause this error. Generally, it is generated by system errors such as fragmented files, virus detection, malware programs, RAM decline, registry error, etc. as it is a result of hard drive failure. The primary reasons for hard disk failure can be listed as below. Hard disk might have been a victim of some logical or mechanical error. Such errors occur because of file system corruption or some mechanical damage. Hard disk might be virus prone. Once a virus has caused the damage to your hard drive, even if the anti-virus software has removed the virus, the system cannot be brought back to normalcy. This damage leads to the failure of the hard disk. So, you should take utmost care of the hard drive and keep it away from virus or malware. The system files might be damaged. They are damaged if some program has been installed incompletely or some critical files have been deleted unknowingly or by an improper shutdown of the computer. Once the damage has been done to the system file, the incorrect or missing links lead to improper working of the system. You can also be a significant reason for failing your computer’s hard disk. Yes, you could have, although unintentionally, tried to change the registry settings, file properties or location, installed improper plug-ins, etc. Such false actions lead to cause system damage. How to Fix Windows Detected a Hard Disk Problem Error? Now that we know some of the major reasons for the occurrence of the Windows Detected a Hard Disk Problem error, we need to fix it. There are a couple of ways to do so and they are listed below. Windows itself provides a way to solve most of the errors it generates. These errors might be considered very serious by the users but they are very simple to fix. This simple tool is the standard solution for all such errors. You might not have the idea which files are essential for the system and whether they are working correctly or not. So, System File Checker will check the files for you and handle integrity issues if any. Follow the following steps to start system file checking. 2. 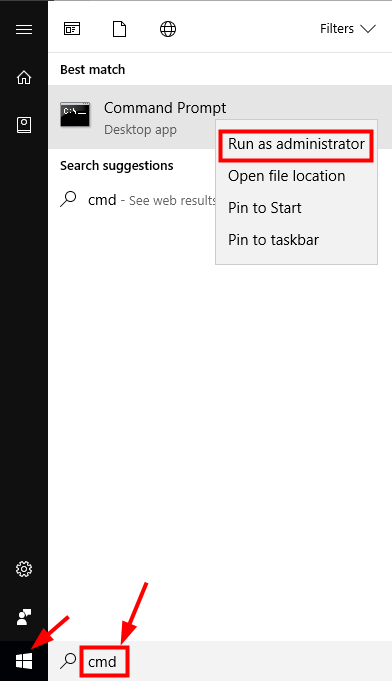 Type “cmd” in the search box & right-click on the Command prompt to choose Run as administrator. 3. Then, simply, click YES if prompted by User Account Control (UAC). 4. 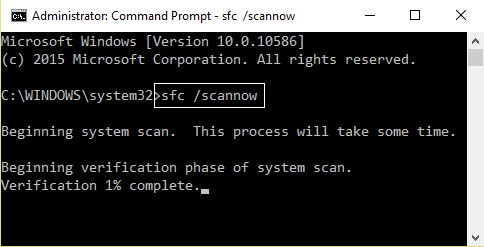 Type “sfc /scannow” in the Command Prompt and press Enter. This will initiate the system file check process which is a speedy process and as a result, it will show if there are any integrity violations. Make sure that you do not close the window before 100% scan is completed. Most probably this would fix Windows detected a hard disk problem. If the first method did not do any help, don’t worry, try the method mentioned below. You can also follow our in-depth guide on how to run Chkdsk in Windows 10 OS. 1. At first, Press Win+E keys together to Open File Explorer. 2. Now, click on This PC from the left panel. 3. After that, right-click on the hard drive that you wish to repair. 5. Navigate to Tools tab from the window. 6. Then click on Check under Error checking. The primary function of chkdsk is to check and repair any errors for NTFS and FAT file systems. So, if the main reason for the Windows Detected a Hard Disk Problem error is a file system error, then this method should fix it. a backup of all your data before implementing this method. There might be some cases possible in which even if there’s no physical, mechanical or logical damage to your hard disk but still Windows keeps on popping up the error message. In such a situation, when you’re sure that your hard drive is not at fault, this feature that shows the error gets annoying and you would certainly want to disable it on your system. 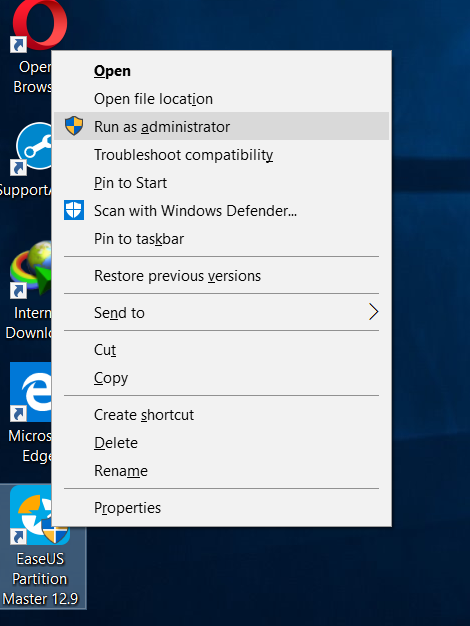 Follow these steps to disable this feature. 1. At First, Press Win+R keys together to open Run. 2. 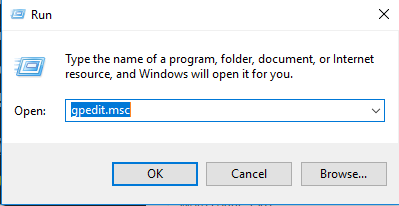 Type “gpedit.msc” in the prompt on the window and press Enter. 3. 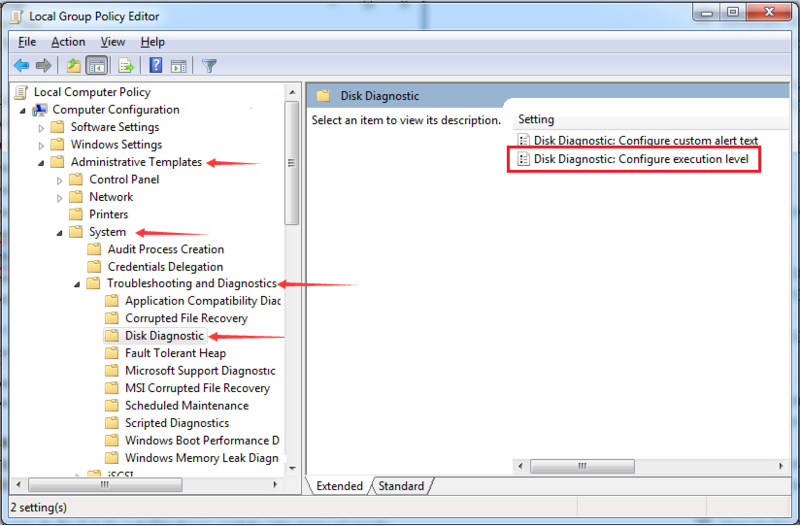 Navigate to Administrative Templates > System > Troubleshooting and Diagnostics > Disk Diagnostics. 4. 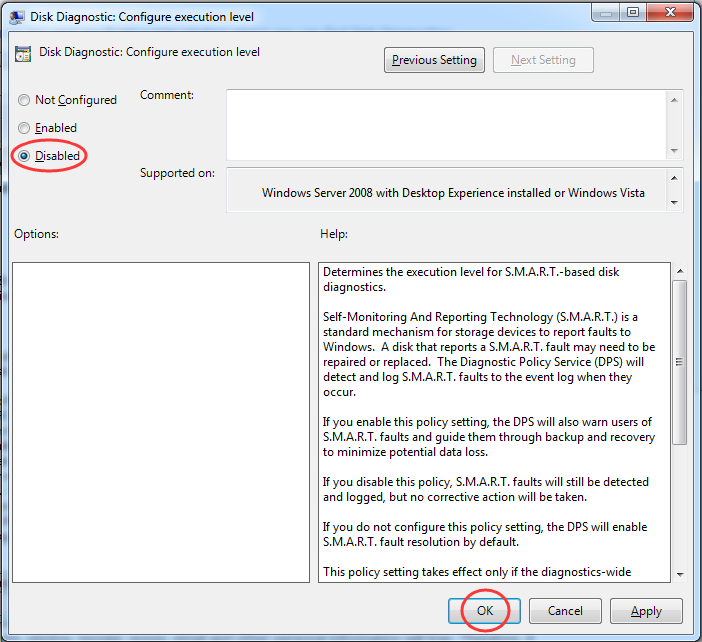 After that, double-click on Disk Diagnostics: Configure execution level from the right panel. 5. Tick on Disable & hit OK.
6. Restart the computer after that and the error message’s pop-up won’t come. 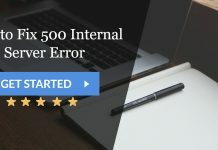 These steps would disable the feature that generates the error message. Before doing so, you should be very sure that the Windows is causing the error unnecessary and that your hard disk in a perfect condition and does not need any repair. 1. At first, Download the EaseUS Partition Master free from the official website. 2. 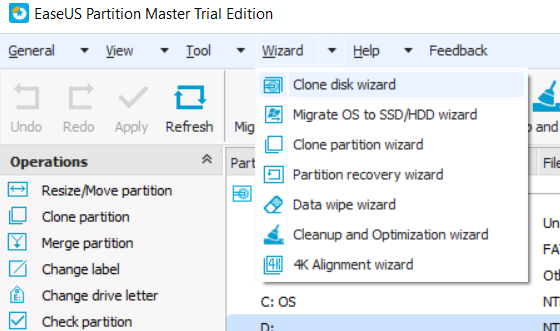 Install and launch the Partition Master once you finish the setup. 3. Right-click on the hard drive partition (Such as D: in my case) which you want to fix by clicking Check Partition. 4. 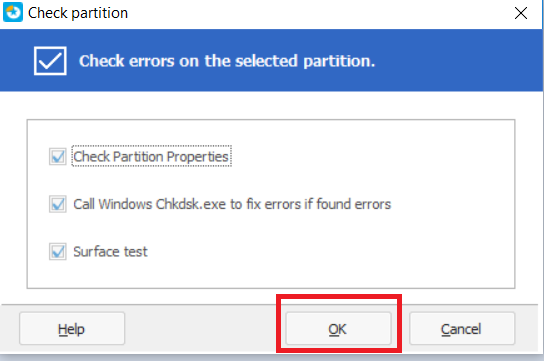 Select the method by which you wish to check it: Check Partition Properties, Call Windows Chkdsk.exe to fix errors if found errors, Surface Test, etc. 6. 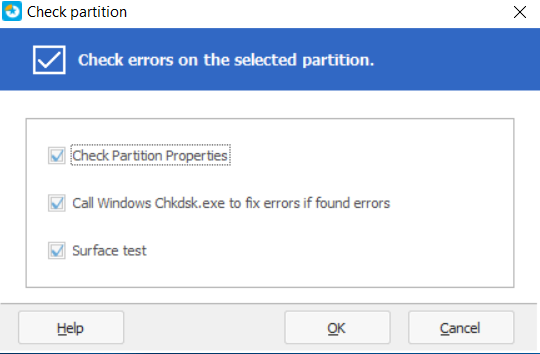 Now, let EaseUS Partition Master automatically find and repair the errors for you. You can quickly resolve hard disk problem with these kinds of partition manager software. This will start the checking process and it may take some time depending upon the size of the hard disk and partitions. Here as the bad sectors will be repaired, you need to take backup of any critical data that you have on the drive. The only drawback of using this method for bad sectors is that if the sector is physically damaged, then it cannot be repaired by this method. In other cases, it will solve the Windows Detected a Hard Disk Problem error. If the above-prescribed methods didn’t work for you, then you can download and install diagnostic tools for your Hard Disk. Check the manufacturer of your hard disk and search the particular tool on their website. The Windows Surface Scanner by DTI Data is a Chkdsk alternative that can fix Hard Drive Bad Sectors. 2. You can also try Seagate SeaTools as a diagnostic application which will guide you in determining the condition your disk drive its health. You can also use it for of an external hard drive as well. 3. Another remarkable tool is HDD Bad Sectors Repair. Its function is to repair Maxtor hard drives. 4. Data Lifeguard Diagnostic is available for all the Windows devices. It is used for drive identification, diagnostics, and repairs almost every hard disk. 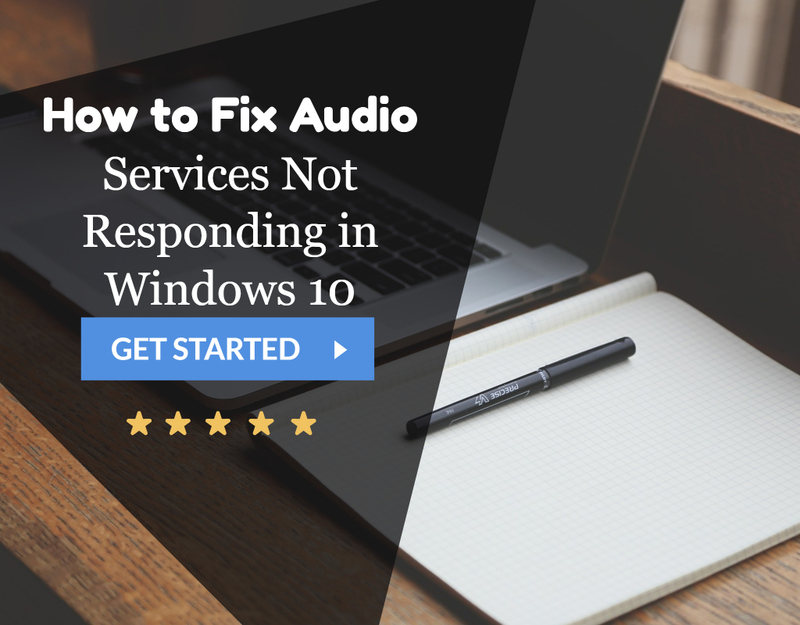 Try any of the method & it will resolve Windows detected a hard disk problem issue. All in All, if all the above methods fail, then you have to face the fact that it is a physical hardware issue and might consider replacing the hard drive. If none of the methods above did any help, then the only reason for the Windows Detected a Hard Disk Problem error would be physical damage to the hard drive. This indicates that it is time you contact a repair centre and get the repairs done. How to Backup the Hard Disk? 1. At First, Download & Install EaseUs Partition Master. 2. Now, launch the application on your system. 3. 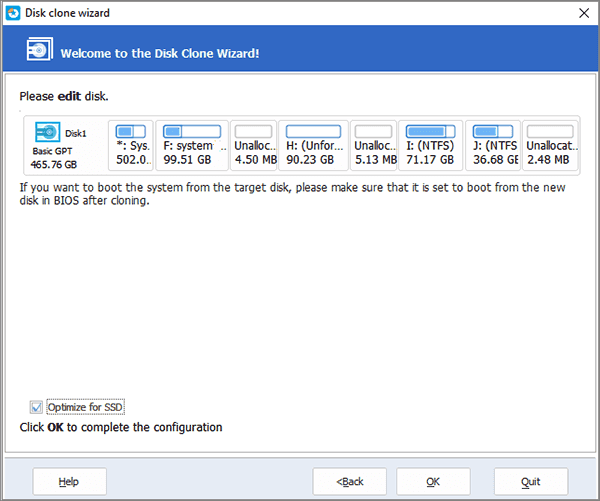 After that, Navigate to Wizard>Clone disk wizard from the menu. 4. Now, select the source disk that you want to clone. 5. Choose the destination disk after that & click Next. 6. A confirmation box will pop up asking to delete the data & partitions on the destination disk. Click Yes. 7. 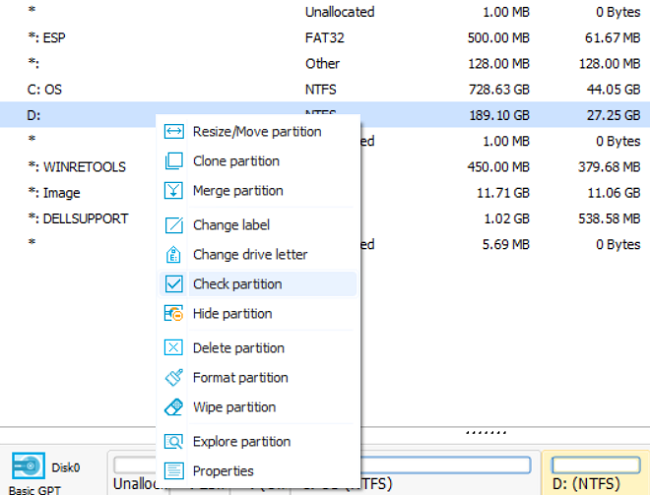 So, now resize partitions on the destination disk & click OK.
8. Now if the operations are right then simply click Apply. The cloning speed depends on the amount of data to be copied, clone mode selected and disk’s speed. So, have patience and you can have your data all backed up. So these were some methods to solve the Windows Detected a Hard Disk Problem error. Hope you found them useful. Do use them to keep your system safe from any crashing or data loss. Make sure that you back up the data on your hard disk as soon as after you receive this error message for the first time even if you feel that it is unnecessary. Taking a risk by not backing the data up might lead you to lose your essential data. So, backup and stay updated. 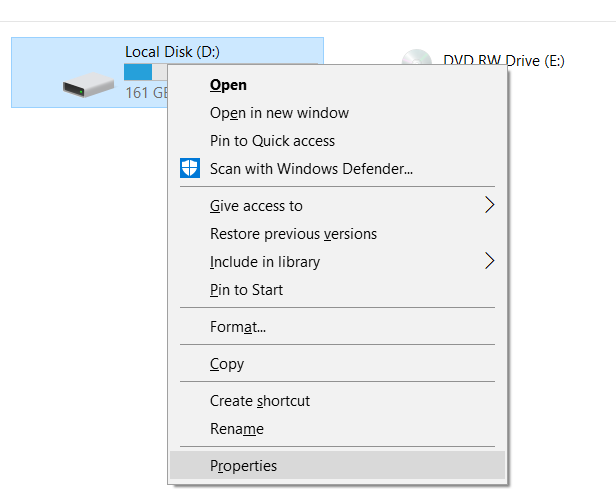 1 Why does Windows Detected a Hard Disk Problem Error Occur? 2 How to Fix Windows Detected a Hard Disk Problem Error? 3 How to Backup the Hard Disk? Awesome Blog! Good Job Author!! !